The Hampton Beach Comedy Festival -- which runs from Thursday through Sunday, July 26 through July 29 -- was created from a simple idea in 2009. Longtime Hampton resident (and Boston comedian) Jimmy Dunn would call some comedians he liked, invite them over for a steak on his backyard grill, and then they'd head over and do a show at Ashworth by the Sea, the iconic Hampton Beach hotel where Dunn parked cars as a teenager. A lot has happened to Dunn since then -- including a top role in CBS's The McCarthys, sets on The Late Show with David Letterman and Conan, and an appearance on Judd Apatow's Netflix series Love -- and the Hampton Beach Comedy Festival has grown as well. 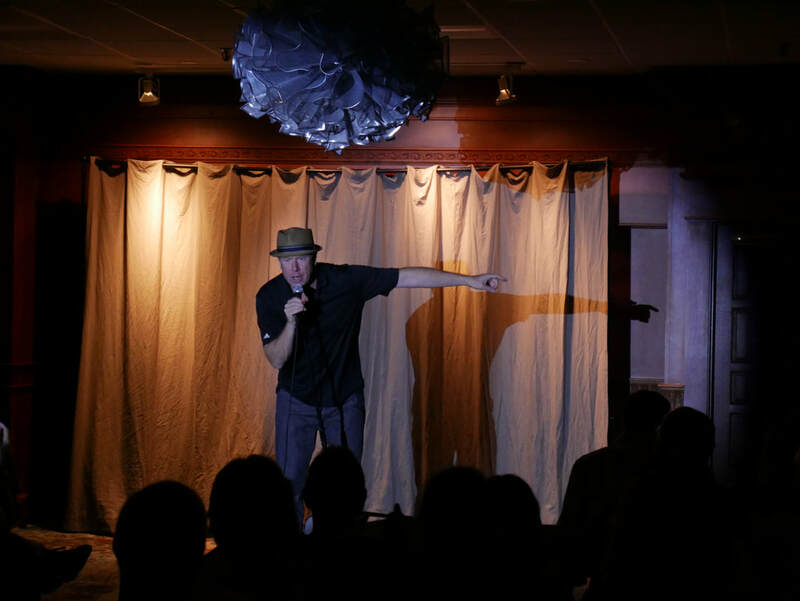 Presented with Scamps Comedy Productions and Ashworth by the Sea, it's a four-night weekend celebration of stand-up comedy, with each show featuring a loaded lineup of headliners and up-and-comers. Many past performers have gone on to or continued successful careers in stand-up, comedy writing, movies, TV and radio. The common qualities all the comedians share? "They need to be funny, and I need to like them as people," Dunn says. "Otherwise, it wouldn't be nearly as much fun." Dunn is the headliner-host of all four shows, which feature at least six comedians each. Shows run from Thursday through Sunday at 8 p.m. Tickets are $20, available on line (https://www.brownpapertickets.com/event/3455866), by calling (800) 838-3006, and at the door (cash only) on show nights. For more information, go to scampscomedy.com, JimmyDunn.com and HamptonbeachComedy.com, or check Hampton Beach Comedy Festival on Facebook.